Having lived in five countries and three continents between us, my husband and I are happy to call Santa Barbara home. The ease of life, weather and relaxed sophistication of the American Riviera is unparalleled, and so long as I allow myself a city fix every now and then to further fuel my soul and creativity, there is nowhere else in the world I would dream of calling home. I feel fortunate to have experienced Tokyo, London, New York, Buenos Aires, Montreal, Paris, Marrakech, Istanbul, and Vienna among other cities. 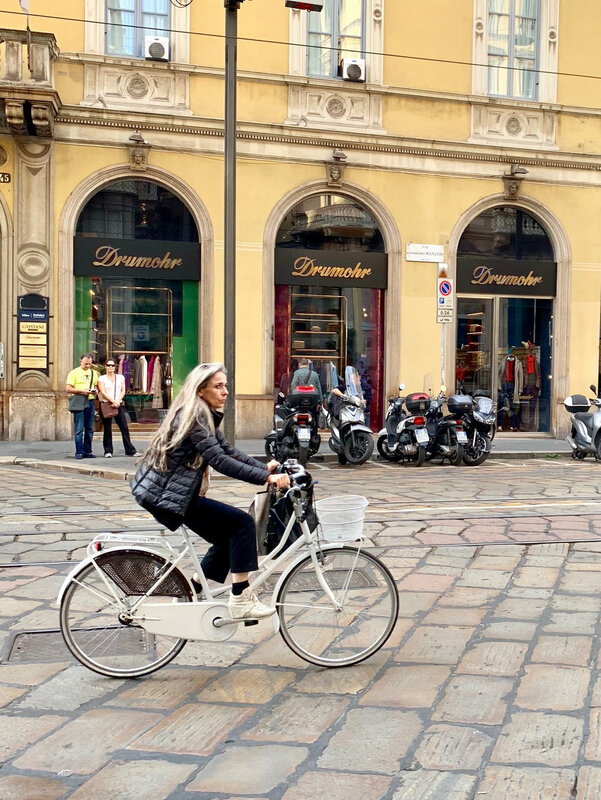 This month, our annual honeymoon revival took us to Lake Como, by way of Milan, Zürich and Barcelona. Those of you who follow this blog know that I am obsessed with travel and canonizing beauty via Instagram. 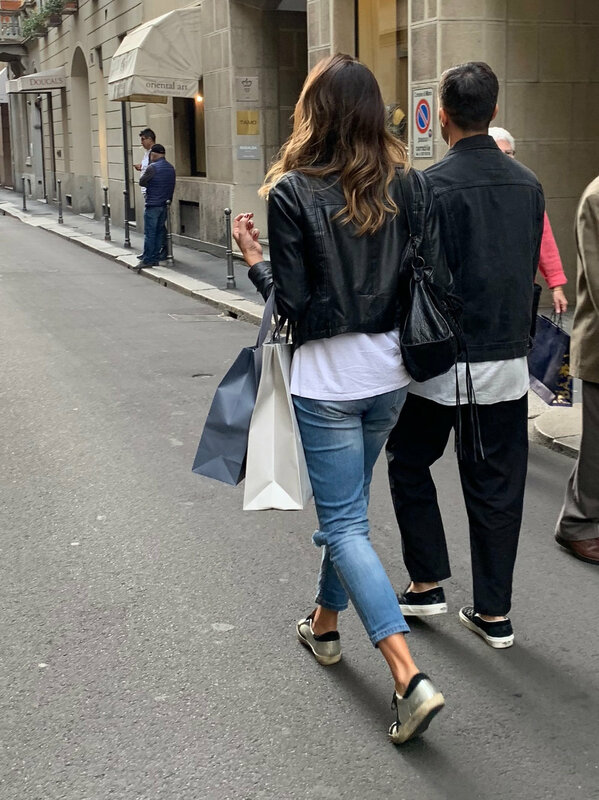 But our return to Milan called for something more audacious, something that took me back to my television days, this time, however, I would be confined to only one side of the lens. 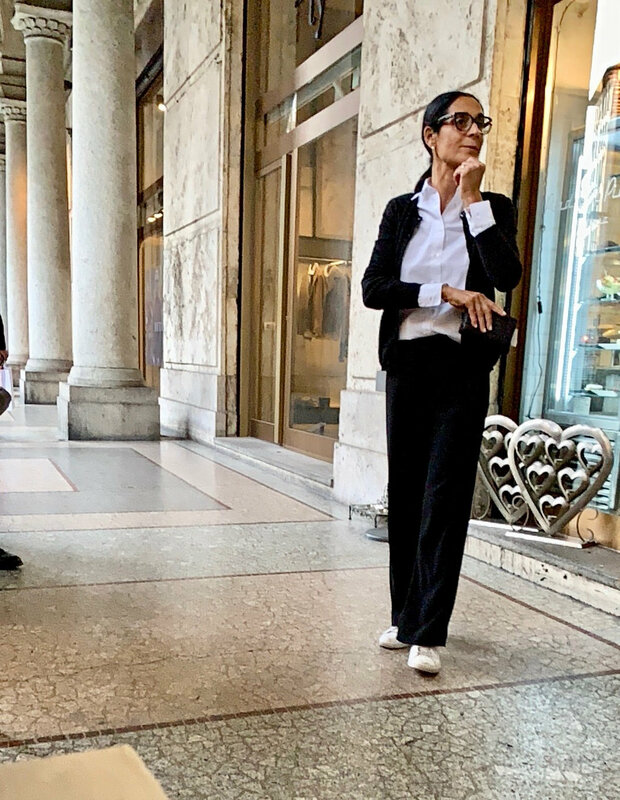 And so it was that my stealthy camera visually eavesdropped its way around the Quadrilatero d'Oro immortalizing the city’s fashion pulse. 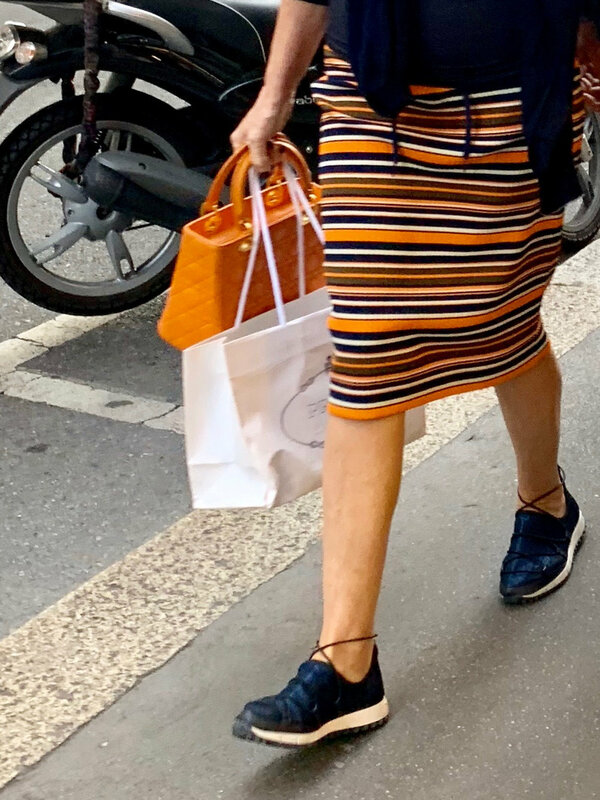 Milano’s sartorial world is now far more relaxed than I remember, evidence perhaps, that globalization has not left it unscathed. Notwithstanding, the style is vibrant and deliberate, still celebrating color with seemingly more zeal than its American counterparts. Much like in New York and other fashion meccas, athletic shoes rule, and whether a woman favors classic, casual, or the avant garde, ever present is the conscious manner in which she combines them with her wardrobe, hinting at the world behind the threads. 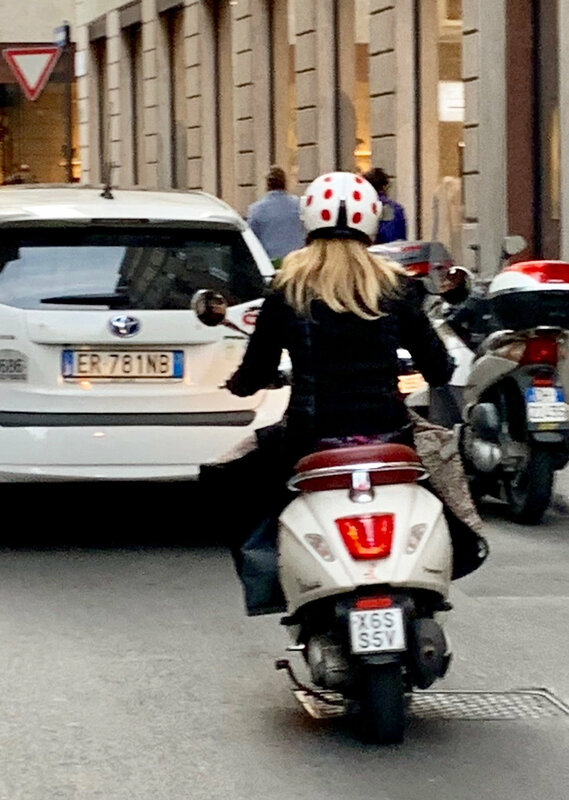 The bold style approach wielded by Milanese women encouraged me to be equally camera-bold, and knowing my subjects would be uncovered in the best of light, made my job that much easier. 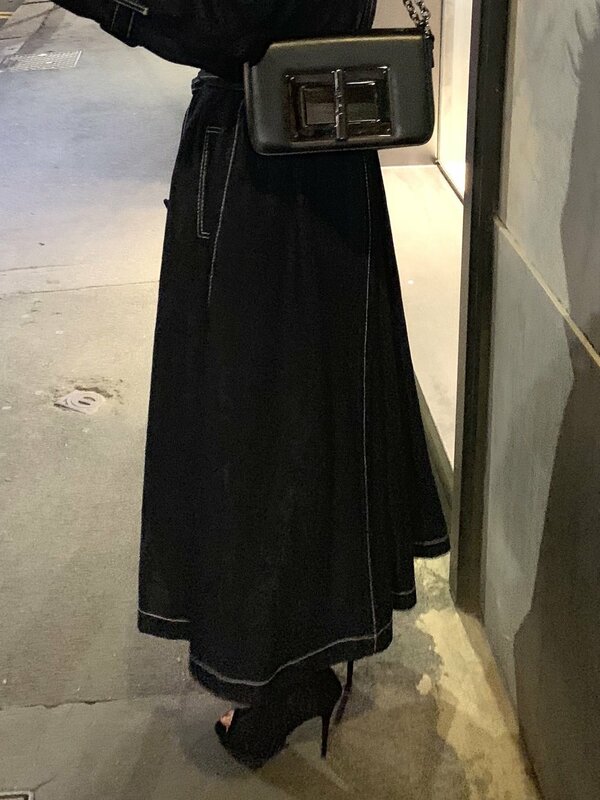 In the evening we met up with our friend Deborah, a style icon in her own right, and her partner, Christian. Following a midnight tour of the city, we dined at Bistro da Giacomo to our heart’s content while learning more than we could possibly retain about pepper varieties and the Scoville Pepper Heat Scale from our enthusiastic waiter. The next day we bid addio to Italy’s vestiary capital with many a moment etched in my heart. My city fix was further enhanced the following weekend by a Hollywood getaway, giving my soul plenty of fuel to last throughout the holidays. Or not. Thanks to my groom for being my mostly-willing partner in crime, and for resisting the temptation to toss my furtive camera into the lake.